Every functional medicine psychiatrist has case stories of the “probiotic cure” – of a patient with debilitating symptoms, often obsessive compulsive range, whose symptoms remitted completely with dietary change and probiotic supplementation. Is this voodoo or is it based on a growing understanding of the role of the microbiome in mental health and behavior? Kelly Brogan, M.D. is a holistic women’s health psychiatrist, author of the NY Times Bestselling book, A Mind of Your Own, the children’s book A Time For Rain, and co-editor of the landmark textbook, Integrative Therapies for Depression. She completed her psychiatric training and fellowship at NYU Medical Center after graduating from Cornell University Medical College, and has a B.S. from M.I.T. in Systems Neuroscience. 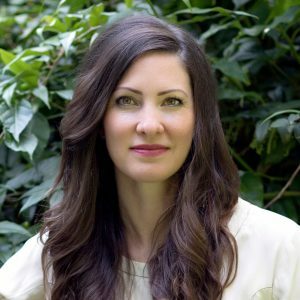 She is board certified in psychiatry, psychosomatic medicine, and integrative holistic medicine, and is specialized in a root-cause resolution approach to psychiatric syndromes and symptoms. She is on the board of GreenMedInfo, Price-Pottenger Nutrition Foundation, Functional Medicine University, Pathways to Family Wellness, Mindd Foundation, SXSW Wellness, Chickasaw Nation Wellness, and the peer-reviewed, indexed journal Alternative Therapies in Health and Medicine. She is Medical Director for Fearless Parent and a founding member of Health Freedom Action. She is a certified KRI Kundalini Yoga teacher and a mother of two. For more articles, sign up for her newsletter at kellybroganmd.com.